Posted in: Radio. Tagged: Likwid, Radio. Weekly Fridays 5pm-7pm (GMT) on Likwid London (http://www.likwid.london). Soul-Identity Music. 2 hours of upfront and classic soulful underground music. We’re back with another bag of fresh tuneage. 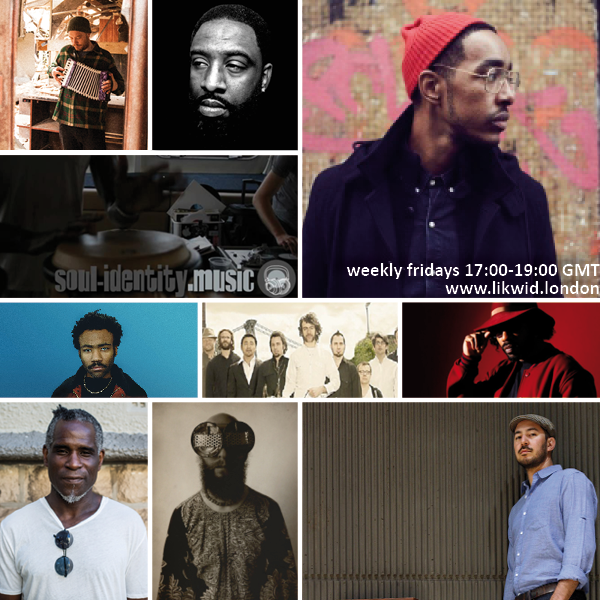 This week we’ve got brand new material from Bastien Keb, Oddisee, FKJ and Swindle in the first hour and a few killer jazz bits from Mark de Clive-Lowe and Collocutor in the second, as we attempt to span the entire musical spectrum! Originally aired Friday 27th January 2017. Keep up to date with all things Soul-Identity orientated as we drop you periodic mailings about our significant events, download links and general goodness.